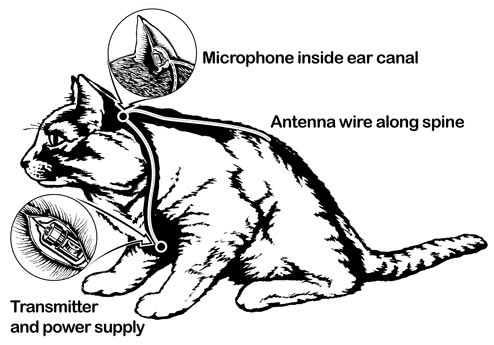 The CIA’s $15 million attempt to train a surgically altered cat to act as an eavesdropping device, known as Acoustic Kitty, became semi-comic lore after the cat was killed by a taxi during a field trial. The project is detailed in the heavily redacted 1967 CIA document ‘Views on Trained Cats [deleted] for [deleted] Use,’ published in a 2010 Archive posting that delves into the CIA’s fascinating Directorate of Science and Technology (DST). The DST was responsible for developing some of the most cutting-edge Cold War technology, like the U-2 and A-12 (OXCART) spy planes, along with its more eccentric projects, like Acoustic Kitty. Unfortunately, despite its notoriety and public interest in it, Acoustic Kitty is all the CIA is willing to declassify on its animal intelligence program. 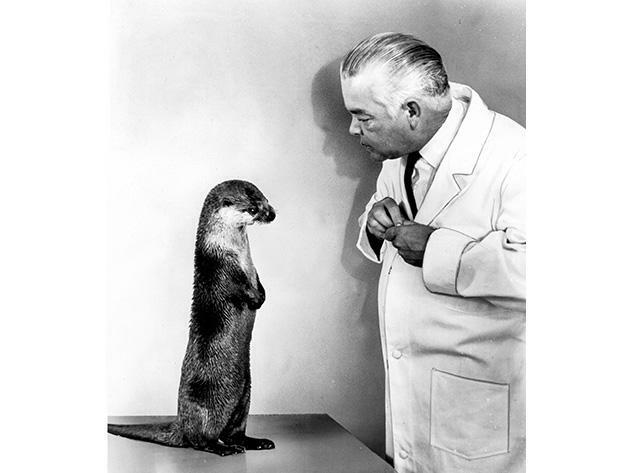 The CIA’s Cold War animal intelligence efforts were profiled in a recent Smithsonian Magazine article in which Robert Wallace, the former head of the CIA’s Office of Technical Services, takes a defensive stance on the cat. Wallace argues that despite the near-legendary story of the cat’s demise, “the guy who was the principal in the project” reported that the cat was not actually killed by a taxi, and besides, “the animal work was really historic” by the time he arrived at the agency in the 1990s. More interesting than the cat’s fate, however, was the CIA’s interest in the I.Q. Zoo and its parent company, Animal Behavioral Enterprises, which trained animals from tick-tack-toe playing chickens to piano playing pigs. It stands to reason that if the CIA was willing to hot-wire a cat and train dolphins for naval missions, the I.Q. Zoo and its findings held obvious potential for the agency. The article’s author, Tom Vanderbilt, agreed, and submitted a FOIA request to the CIA during the course of his research “for documents relating to animal training for intelligence activities.” Rather than performing a search for the requested documents, the CIA glomared (neither confirmed nor denied) his request, saying “the fact of the existence or nonexistence of requested records is currently and properly classified.” I hope Vanderbilt appealed the CIA’s incorrect application of the Glomar denial, as a Glomar response “is only appropriate” if the existence or nonexistence of the record is classified, and since the CIA declassified the 1967 ‘Views on Trained Cats [deleted] for [deleted] Use,’ the subject of Vanderbilt’s request had already been officially disclosed and his request should have been processed. For a full treatment of the Glomar response and all other FOIA issues, please check out the Archive’s Effective FOIA Requesting for Everyone Guidebook. I don’t blame any agency for not wanting to be the subject of Internet fodder, as the CIA might well expect to be after the response to the Acoustic Kitty project. What I do blame the CIA for, however, is incorrectly withholding the mere existence of information on a likely obsolete project that is already well known and the CIA itself has already disclosed documents on. Not only is that behavior antithetical to Obama’s day one FOIA memo, which states that agencies “should not keep information confidential merely because public officials might be embarrassed by disclosure,” it also prevents the public from learning more about the CIA’s genuinely fascinating role as a scientific pioneer. Here’s hoping the CIA changes its mind soon.